Join us for a hands-on chance to explore new fabrication techniques. We designed these workshops as a way to foster a collaborative environment for our lab members, as well as a way for our staff to learn new skills. Come learn along with us! Free and open to all lab members (must have taken the intro course). Space is limited so please RSVP below. Have an idea or suggestion for a new workshop? Send us a message. Learn how to design and create a piece of jewelry using our laser cutter! Bring a drawing, digital design or 3D mock-up of your jewelry design and have a final laser cut product by the end of the class. We will give you a basic overview of design programs and laser cutter. Materials fee varies depending on the size and material of designs (wood, leather, plastic). 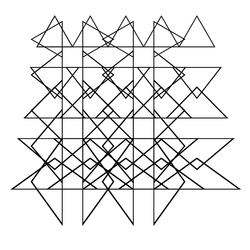 Shape-memory alloys are used in a variety of fields from robotics, to biomedical engineering, to art and design. They are a great way to add movement to your projects, and are relatively low-cost, quiet, and lightweight compared to other types of actuators. 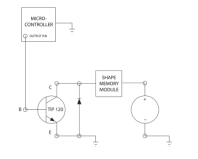 In this workshop, we will be using pre-trained “muscle wire” that contracts via electrical output by a microcontroller and custom-built driver circuit. We will experiment with controlling the wires by customizing pre-written code. We will also take a look at some concepts for maximizing performance including mechanical advantage and post-tensioning. 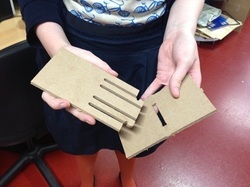 Learn how to get started using our Laser cutting tools at the FabLab. Bring a drawing, digital design or 3D mock-up of your jewelry design and have a final laser cut product by the end of the class! We will give you a basic overview of CorelDraw and Laser cutter operation. Materials cost varies depending on the size and material of designs (wood, leather, plastic). View the course (ART 659, Laser Cut Jewelry: Design and Production at the Fab Lab) here. Register here. Instructables sent us a ton of free sugru, the self-setting moldable rubber for all your fixing, modifying, and making needs. 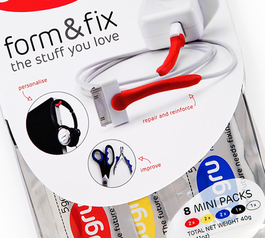 We'll be demoing a couple of build ideas and everyone will get some sugru to play with on their own. The best builds will be posted to instructables.com and the space that demonstrates the most unique use of sugru wins a Nikon DSLR, so get thinking! Compete in our bridge building contest for a $30 3D printing credit! Participants will compete to see who can build the longest span out of laser-cut components. This contest will include an introduction to designing press-fit parts for the laser cutter as well as an overview of the machine operation. We are running this workshop as part of Baltimore Innovation Week 2014! Check out http://2014.baltimoreinnovationweek.com/ for more great events! Make a simple mold of your own design out of machinable wax on our CNC mini-mill! Please come with the software installed on your laptop. A brief lesson in 123D Design as well as an overview of basic CNC mill operation will be provided. 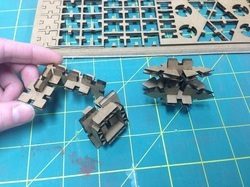 Maximum mold size is 3x3x1.5”. Due to overwhelming popularity, we are bringing this workshop back! 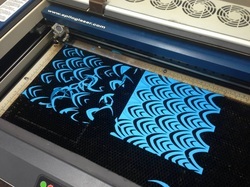 Learn how to cut intricate patterns in paper using the laser cutter. Make your own cards, origami, bookmarks...etc. An overview of basic laser cutter operation as well as a brief lesson in Inkscape will be provided. Inkscape is free, open-source graphic design software that we will use to create files for the laser. Assorted papers will be provided. 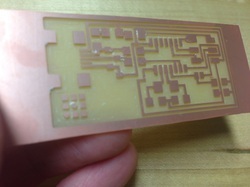 Learn how to create circuit boards on the Modela mini-mill. We will go over how to load a circuit design into Moldela's 3D Engrave software, how to set up toolpaths, and how to run the machine. Please note that this workshop will cover milling only- we will not have time to get into stuffing the board with components. We may have a workshop on this in the future. Learn some basics of parametric design to generate patterns using Inkscape graphic design software. This is a beginner level workshop, but a working knowledge of graphic design programs is helpful. Polaroid cameras were synonymous with lo-fi, instant-gratification photography for generations - until cell phones came along. Now, these relics of the analog age are collecting dust on the top shelf of your closet, and your family photo albums are on Facebook. 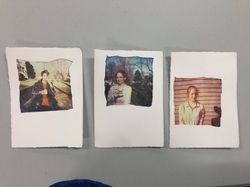 In this workshop, we’ll be giving your old Polaroids new life by transferring them to almost any kind of surface - paper, fabric, plastic, wood - even a rock if you want to bring one in. We’ll provide a couple of materials to act as substrates, but please bring in anything you would be interested in printing on! Almost any material will work, but the lighter the material, the more contrast your prints will have. Transparent substrates result in a transparent photo that can be displayed in front of lights for an interesting effect. Let's kick off the new year with micro-controllers! We will learn how to use Adafruit's Flora micro-controller to create a Capacitive Touch Sensor. 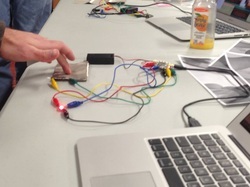 By the end of this workshop, you will have a fully assembled sensor that responds with LEDs. View the Adafruit tutorial here. *This project is solder free. everything from small crafts to furniture to structural elements. In Part 1, we will spend time in PartWorks 2D software learning how to design files for the ShopBot CNC Router. In Part 2, we will spend time setting up the ShopBot CNC router and actually machine the parts designed in Part 1. In this workshop we'll be exploring the capabilities of 123D Make, a free program that slices your 3d models in a variety of ways so you can build them out of flat materials such as paper or cardboard. Bring your own 3d model or use one of ours, slice it, and cut it for construction on the laser! Materials will be provided. Make your own engraving on the ShopBot CNC router! Each participant will get to design and engrave their own 6"x6" wood block. Materials and software will be provided, but feel free to bring your own image file in PDF or .dxf format. Because of time constraints, this project is best suited for high-contrast, low-detail images or drawings. origami, bookmarks...etc. Assorted papers will be provided. Workshop during Baltimore Innovation Week. 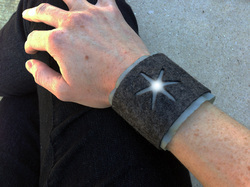 Participants will create a wearable electronic project of their own design. A brief introduction to Inkscape will be taught. Inkscape is a free graphic design program that can create files to be cut on the laser cutter. Basic material will be provided, including assorted fabrics, fasteners and adhesives, and an LED kit. 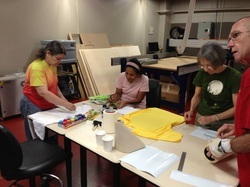 Design and create your own stencils using the vinyl cutter, and use them to personalize your t-shirt, laptop, backpack... etc.! Vinyl and paints will be provided. 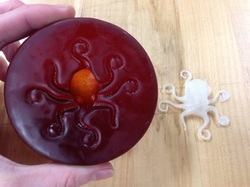 Bring your own (small) item to cast and create a rubber mold using Smooth-On urethane rubber! Or, use an object that we provide.